The Pixel 2 sports a 5-inch Full HD display, while the Pixel 2 XL sports 6-inch HD display with an 18:9 aspect ratio. Pre-orders start from October 26. Google’s brand new smartphones, the Pixel 2 and Pixel 2 Xl will be launching in India on October 27. The company has sent out media invites for the same and pre-orders for the device will start a day early. To recall, the Pixel 2 and Pixel 2 XLwere unveiled earlier this month and like their predecessors, the internals of the two phones are pretty-much the same, with the major difference being the screen size. 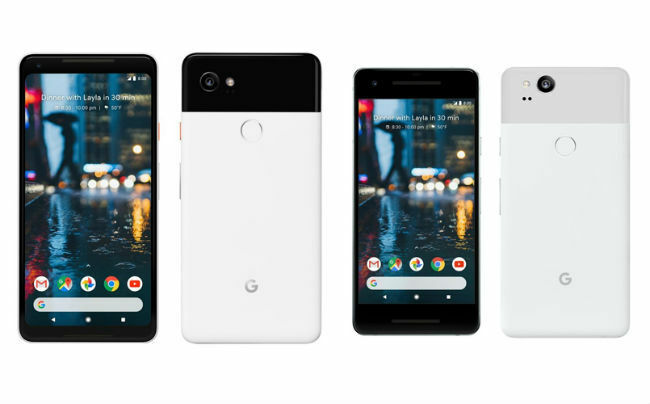 The Pixel 2 sports a 5-inch Full HD display, while the larger Pixel 2 XL sports a 6-inch QHD+ display with an aspect ratio 18:9.The two are powered-by Qualcomm’s Snapdragon 835 SoC with 4GB of RAM. The two are available in 64GB and 128GB storage variants. Prices for the two phones in India are not yet known, but the Pixel 2 starts at $649 (approx Rs 42,000 directly converted) in the US, while the Pixel 2 XL starts at $849 (approx Rs 55,000 directly converted). The two phones offer a 12.2MP rear camera with f/1.8 apertures and scored 98 on DXOMark, making them the highest rates smartphones on the platform. Google recently revealed that both devices feature a deactivated custom octa-core SoC called the Pixel Visual Core Chip. The company claims that the processor is capable of running HDR+ mode five times faster, while using less power. Further, hints of Google recent acquisition of HTC’s smartphone division, can be seen on the two phones as well. The new Active Edge feature lets users launch the Google Assistant by squeezing the sides of the phones. A feature similar to what HTC offers with the HTC U11.